Includes: Jumpsuit with boot tops, cape, belt, mask. Not included: Shoes. Muscle Chest Jumpsuit with Attached Boot Tops, Cape, Belt, and Headpiece. Hand Wash Cold Water, Line Dry. No Bleach. 100% Polyester (Exclusive of Trim). 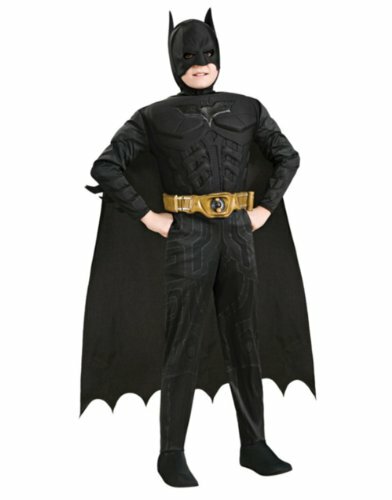 Be the first to review “Batman Dark Knight Deluxe Muscle Chest Batman Child Costume- Black” Click here to cancel reply.